Enjoy a perfect night sleep with this firm polyester core mattress. Perfect for bunk beds, trundle beds and regular beds, this Twin mattress combines optimal comfort, support and quality. 1 year limited warranty against defects in material and workmanship. For service under this warranty, please call 1-800-267-1739. Unwind in your bedroom with this one-of-a-kind upholstered bed frame. The unique mirrored curved lines offer a soft silhouette that create a warm and inviting look for your bedroom. This beautifully designed bed frame creates a luxurious focal point, anchoring your bedroom and giving a designer look and feel. Thermo-Bonded Polyester Core Mattress, Cream Enjoy a perfect night sleep with this firm polyester core mattress. Perfect for bunk beds, trundle beds and regular beds, this Twin mattress combines optimal comfort, support and quality. Thermo-Bonded Polyester Core Mattress, Cream is rated 4.0 out of 5 by 1. 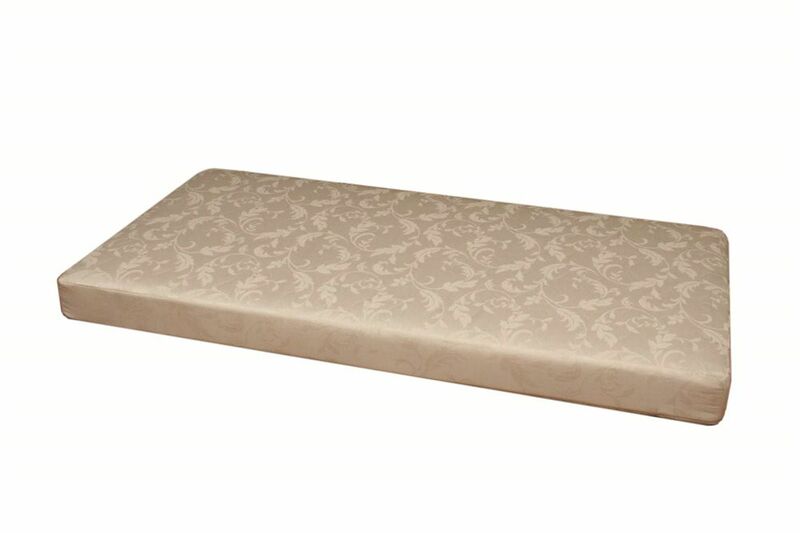 Rated 4 out of 5 by Shelly from Good value This mattress a good value, good size, easy to move.